In her talk “Reasons to be Cheerful: An Optimist’s view on the State of Digital Journalism,” Vivian Schiller gave seven reasons to be optimistic about where journalism is headed. Schiller, who resigned her post as NPR’s CEO last month after gaffes at NPR on her watch, gave a keynote address at the 12th International Symposium on Online Journalism, which began today. 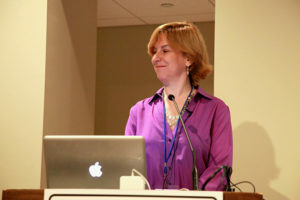 ISOJ 2011: Vivian Schiller Keynote Q&A, from Knight Center on Vimeo.